if not our love of men? with gold. That no one follows us home. 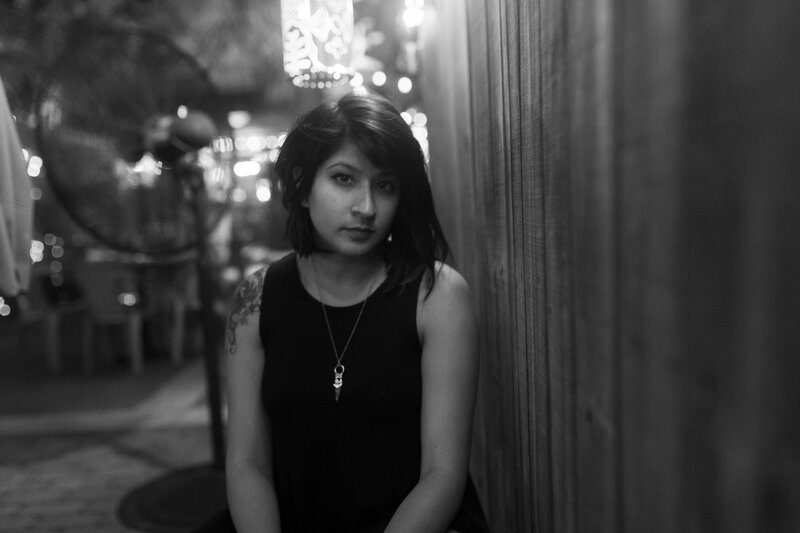 Raena Shirali is a poet, teaching artist, and editor from Charleston, South Carolina. Raena is the author of GILT (YesYes Books, 2017), winner of the 2018 Milt Kessler Poetry Book Award. A first-generation Indian American, Raena is the recipient of prizes and honors from VIDA, Gulf Coast, Boston Review, & Cosmonauts Avenue. Winner of a Pushcart Prize & a former Philip Roth Resident at Bucknell University, her poems & reviews have appeared or are forthcoming in American Poetry Review, Academy of American Poets, Blackbird, Ninth Letter, Diode, The Nation, West Branch, Tupelo Quarterly, & elsewhere. Raena lives in Philadelphia, where she recently co-organized We (Too) Are Philly, a summer poetry festival highlighting voices of color. She serves as Poetry Editor for Muzzle Magazine & Poetry Reader for Vinyl. Read more at www.raenashirali.com.